All classes are as normal on Anzac Day, 25th April. Please see the timetable for further details. Next courses commence Sunday – 28th April, Monday – 29th April, and Thursday – 2nd May. Yoga is a healthy and mindful way to look after yourself. Enrich your life with focus, clarity and harmony. It is so satisfying to begin your day with yoga. This early morning class will challenge and align you, giving you the perfect start for the day ahead. Further details of classes can be found in the Yogaha class timetable. The professional development sessions are ideal for already certified teachers and those preparing to present for assessment. There are four sessions in total, a Friday and Saturday in both March and April, and another 2 later in the year. Each session is delivered in a progressive format so attendance to all four sessions helps build on the knowledge and insight gained from one to the next. These sessions incorporate theory, dissecting practice with specific poses chosen for each session, and offer the chance to work on teaching skills with mock teaching scenarios. It’s helpful to watch the shift in both practice and teaching from one session to the next. 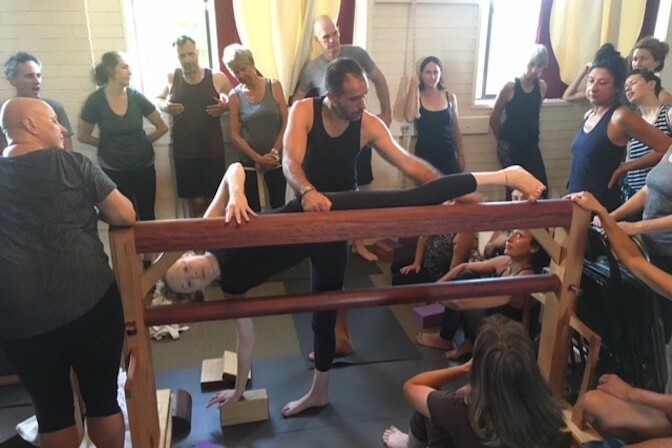 All training modules count as hours towards maintaining assessment and teaching criteria within the guidelines set out with the Australian BKS Iyengar Yoga Association. The Yogaha Iyengar Yoga Bali and Mindfulness Retreat is situated amongst the breathtaking surrounds of Penestanan, Ubud. The beautiful Ubud landscape brings tranquility to our yoga practice. Deepen your yoga practice in the serenity of Bali, and experience a calmness within. 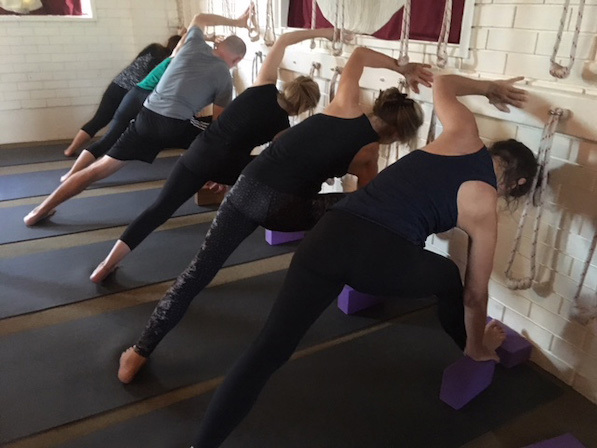 The workshop is open to students with a minimum of six months yoga experience. Women experience change during the monthly cycle, teenage years, pregnancy and menopause. The practice of yoga supports the female body and mind during the various stages in her life. It balances flexibility with strength, dynamic energy with quiet mind and promotes attentiveness and tenderness. 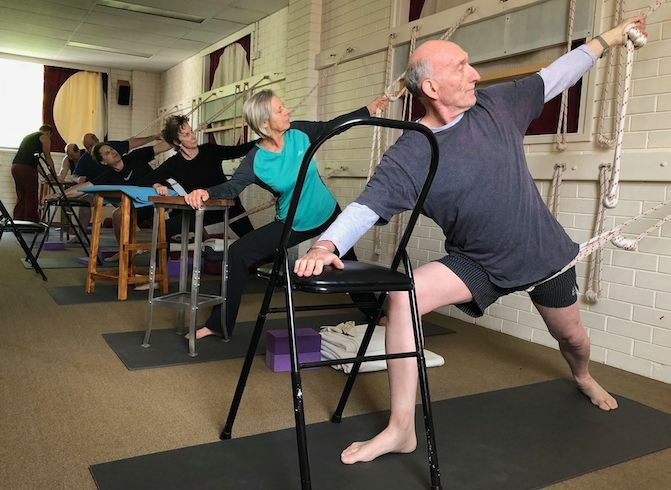 In this Women’s dedicated session and with the skill of Anat’s 18 years practice, you will experience energetic support and alignment unique to the Iyengar yoga method. Something unique has been building over the years with the weekly Therapy class at Yogaha. At any one time there are 4 – 5 experienced teachers and 3 – 4 trainees assisting. As a collective teaching body our emphasis is on taking extra care and working with individual needs through specific sequences and the use of props. The use of yoga props in therapy is an art one can learn, however the insight and healing process is a universal language that requires no special process…you simply need to remain open and present. In some cases individual care is given. Yoga therapy works on many levels and can reduce the symptoms of many physical injuries or medical conditions. Join our Yogaha Facebook community.